The digital PX Series differential pressure transducers utilize highly accurate, microprocessor profiled sensors. 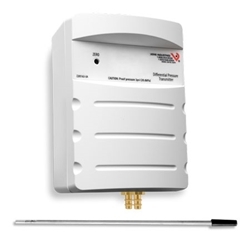 Designed to monitor duct and room pressure in commercial buildings, the PX Series offers exceptional job-site flexibility, with four field-selectable range options. The directional mode jumper is used to configure the transducer in unidirectional or bidirectional mode for room and building static pressure applications. All models feature a push button and digital input terminal to zero the output. The microprocessor is programmed to prevent accidental zero adjustment during normal operation. PX Series pressure transducers utilize an advanced ceramic capacitive sensing element that provides a highly stable linear output, reducing offset errors. 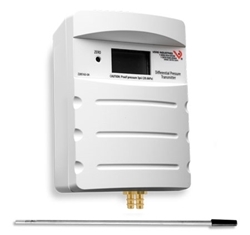 Requires the analogue port option for RX3000 RXMOD-A1 and use of a S-FS-CVIA when using the H22-001 data logger. 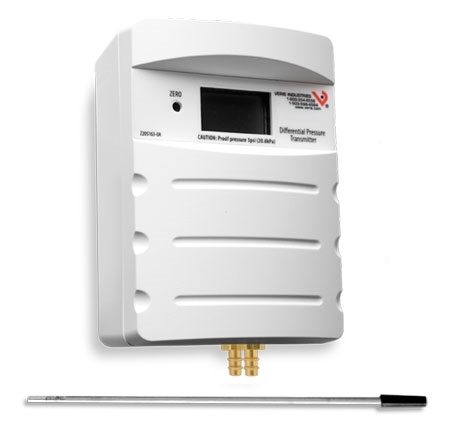 When using a U12 or UX120 data logger, this sensor requires an 0-5 Vdc analog input cable (CABLE-ADAP5) and external power provided by an AC adapter (AC-SENS-2).